The English Department’s Dean Family Speaker Series and the Wake Forest University Press present an evening with poet Paul Muldoon at 6:00 p.m. on Thursday, March 28, in the Porter Byrum Welcome Center on Wake Forest’s campus. This event is free and open to the public. It is not ticketed and will be seated on a first-come, first-served basis. The Porter Byrum Welcome Center (#53 on the campus map) is located on the right as you enter campus from Reynolda Road. Visitors may park at the Welcome Center (Lots S1/S2), Lot S at the bottom of the hill, or any of the visitor parking lots on campus. You can view campus maps, including parking maps, here: about.wfu.edu/visiting/maps/. Muldoon served as Professor of Poetry at Oxford University from 1999 to 2004 and as poetry editor of The New Yorker from 2007 to 2017. He has taught at Princeton University since 1987 and currently occupies the Howard G.B. Clark ’21 chair in the Humanities. In addition to being much in demand as a reader and lecturer, he occasionally appears with a spoken word music group, Rogue Oliphant. With his wife, American novelist Jean Hanff Korelitz, he adapted James Joyce’s “The Dead” as an immersive, site-specific play, “The Dead, 1904,” which was produced by the Irish Repertory Theatre and Dot Dot Productions, LLC, for seven-week runs in 2016 and 2017. 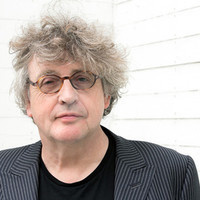 Paul Muldoon is a Fellow of the Royal Society of Literature, the American Academy of Arts and Sciences and the American Academy of Arts and Letters. In addition to the Pulitzer Prize, he has received an American Academy of Arts and Letters award in literature, the 1972 Eric Gregory Award, the 1994 T. S. Eliot Prize, the 1997 Irish Times Poetry Prize, the 2003 Griffin International Prize for Excellence in Poetry, the 2004 American Ireland Fund Literary Award, the 2004 Shakespeare Prize, the 2006 European Prize for Poetry, the 2015 Pigott Poetry Prize, the 2017 Spirit of Ireland Award from the Irish Arts Center (NYC), the 2017 Queen’s Gold Medal for Poetry and the 2018 Seamus Heaney Award for Arts & Letters. He is the recipient of honorary doctorates from ten universities. The English department’s Dean Family Speaker Series, which is endowed by a gift from the Dean Family, brings nationally and internationally recognized scholars to campus. It encourages critical conversations and dialogue related to the study of English. All talks are open to the public, and everyone is invited to attend.